An evening in London on business, including a visit to Canary Wharf. 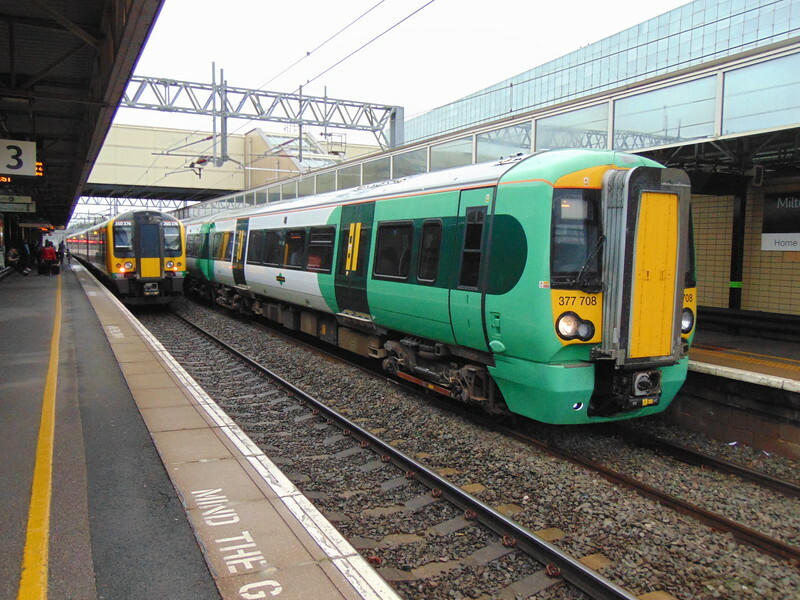 Southern Class 377 Electrostar no. 377708 at Milton Keynes Central with a South Croydon service. London Midland Class 350 Desiro no. 350376 is in platform 3 with a delayed Birmingham service.